The classic N64 game. This is a must have for every classic gamer. In this classic Nintendo 64 game, you can play as twelve different characters to battle it out on your N64. This is the best N64 game you can get. The storyline in this game is that there is an evil monster. He is called the master hand. 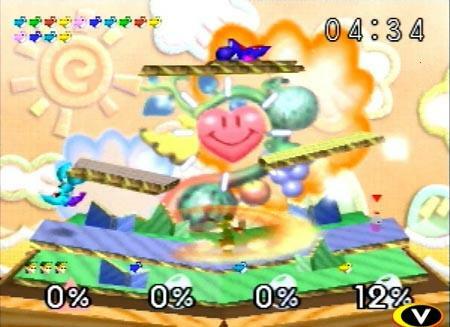 He forces characters, like Samus, Mario, Kirby, Luigi, Captain Falcon, Pikachu, and Yoshi to fight for it's amusement. This game is very simple to beat and can be beaten at four different difficulties. It usually takes about half an hour to beat. This is not a very long game and one player is not one of its strong points. It is still pretty fun on one player, but it gets even better on two player. Play this game multiplayer with up to four people. Fight against your friends on lots of different levels. Put the settings to time limit and see how many people your team can knock off, or do lives where people have a certain amount of lives before they lose. Either way it is very fun and it gets very competitive. The sound in the game is the best. Not only is the quality good, but the songs are classics. 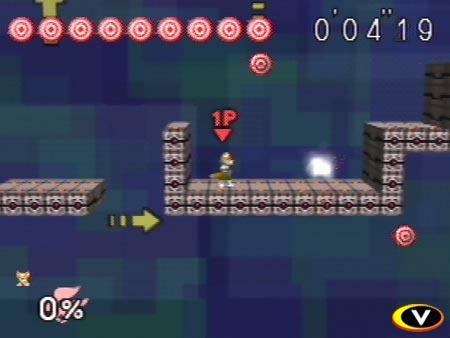 It has a multitude of levels that play different music. For instance, if you play the starfox level, you will hear the Starfox theme music; same with Zelda and Peach's Castle, and Saffron City from Pokemon. Every level, you will get a song from you favorite Nintendo games! To help you completely smash each other up, the game will randomly drop items. Some of these items include a shell, a hammer from Donkey Kong, a pokeball which shoots out Pokemon to help you, and a bat which can whack players to the other side of the level. 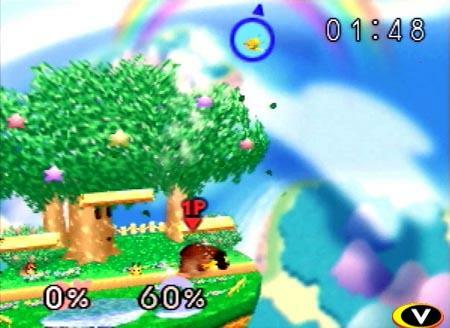 This is the best super smash bros out there. The original is much better than Melee or Brawl. 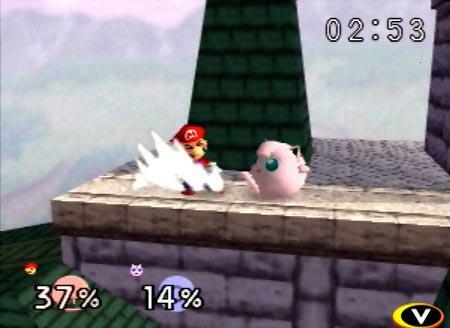 Having all those characters on brawl takes the skill out of it. 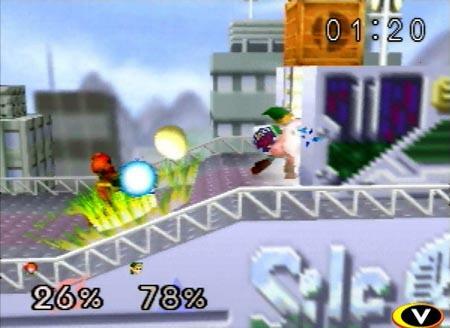 But playing Super Smash Bros. on the N64 helps you with the controls on Brawl. The game is very easy to play and the controls can be mastered easily. This is a must have for your Nintendo 64.